As summer winds down, you may be wondering what to do with the abundant harvest of greens and tomatoes still left in the garden. 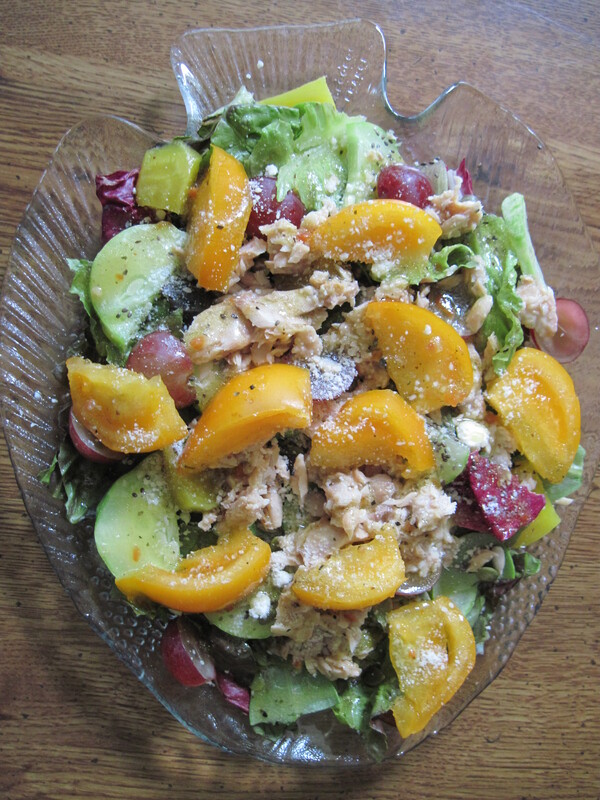 There are still enough warm days to enjoy a SUMMER SALAD as a main course for lunch or dinner. 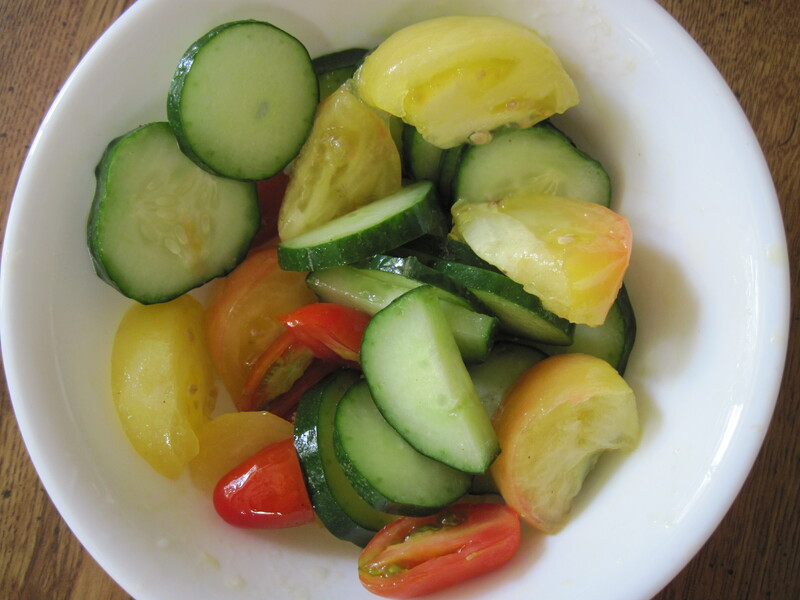 For this salad, have the kids wash and layer an assortment of fresh greens. I used romaine, arugula, spinach, purslane (look it up if you’re wondering), and radicchio. Then I added sliced cucumbers, yellow beets, black olives, sliced grapes, and yellow tomatoes. Then I sprinkled on a 2 oz. packet of salmon, sunflower seeds, pumpkin seeds, chia seeds, slivered almonds, and grated Parmesan cheese. Top with your favorite dressing and you’re all set. You can easily substitute the following to make it your own: diced, cooked chicken, cooked salad shrimp, tuna, dried cranberries, walnuts or pecans, pineapple chunks, shredded carrots, apple slices, orange segments…the list goes on. It’s delicious, filling and nutritious as well. 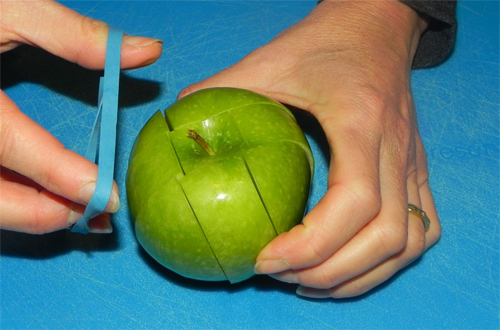 Why not pack a smaller version of this for school lunches? Serve with some whole grain crackers for added crunch. What are your favorite salad add-ins? It’s that time of year again. Back to School. And, back to trying to figure out how to make kids lunches that are healthy and will be eaten. Here are some simple and nutritious recipes for back to school lunches and snacks. The Peanut Butter Dip recipe is one I’ve adapted through trial and error. Unless you’re allergic to PB – in which case you can substitute another nut butter – It has been a hit with all the children I’ve served it to. Adults like it as well since it is not too sweet. It keeps well in a lunch box with a cold pack and can also be spread on a bagel or other bread in a sandwich with sliced bananas or other fruit of your choice. Add applesauce, a little at a time, until it is the desired consistency for a dip. This dip is great served with apple slices, carrots, banana slices, celery sticks, graham cracker sticks, or broccoli pieces. You can also try mini rice cakes, pretzel sticks, and other fruits or veggies. If you let the kids make the dip, they will taste it and want to dip all sorts of fruits and vegetables. It’s a better option than fat laden sour cream dips and salad dressings. You can also try Hummus with veggies as well. Try different ingredients in a soft tortilla. I like spreading the tortilla with hummus, shredded carrots, lettuce, tomatoes and cheese. OR you can roll them up with lunch meat and cut them into spirals for “fun” shapes. Tortillas also make a fun way to enjoy the traditional PB and J sandwich. Whole grain crackers no longer taste like cardboard. Kids will enjoy cracker “sandwiches” they can make themselves with various fillings. Check out the previous postings on this site for more lunchbox friendly recipes kids will enjoy such as soft pretzels, Krispie Treats, and homemade granola. Enjoy the last days of summer knowing that back to school lunches are covered. 1. Combine first 6 ingredients in a large saucepan over medium heat. (If using potato instead of flour add it to the above. Bring to a boil, reduce heat, cover and simmer 10 minutes. Discard bay leaf. 2. Place mixture in a blender and process until smooth. 3. If using flour to thicken, add it to the pan and whisk in the milk until blended. Return pureed asparagus mixture to the pot and add nutmeg. Stir to combine. 4. Bring to a boil and simmer 5 minutes, stirring constantly. Remove from heat, stir in butter and salt to taste. Garnish with asparagus tips if desired. Variations: Substitute 2 C baby carrots for asparagus for Cream of Carrot Soup. 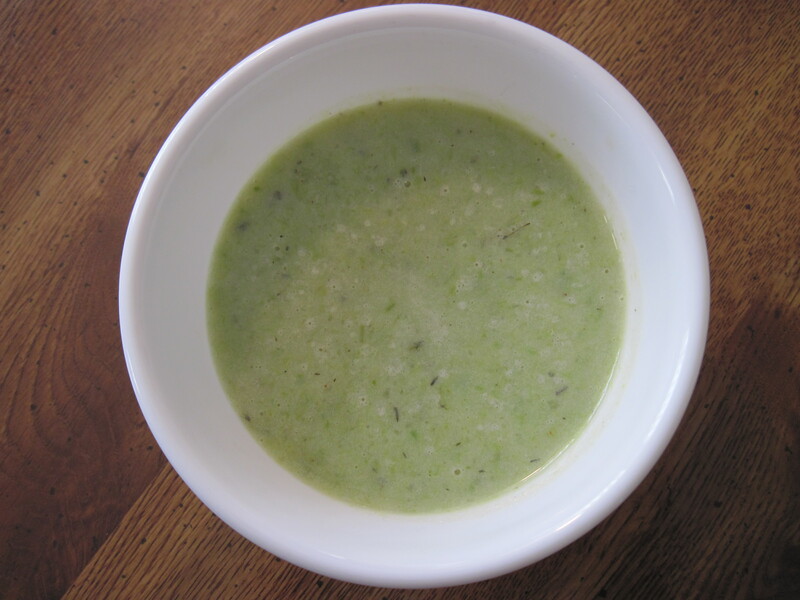 OR, substitute 2 C leeks and 2 C diced potatoes for Leek and Potato Soup. 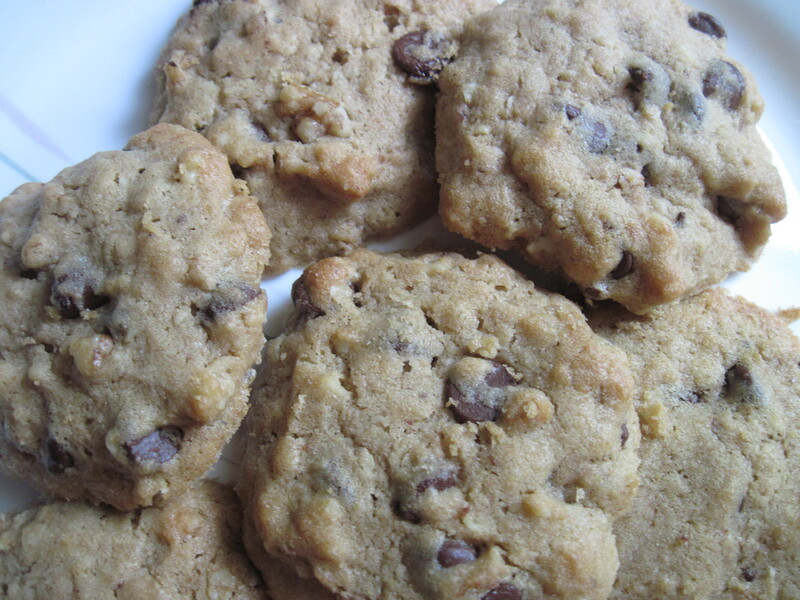 It’s National Chocolate Chip Day…Got Cookies? National Chocolate Chip Day is Wednesday May 15, 2013. What better way to celebrate this tiny bit of heaven than to have a cookie baking party. You can find some recipes at: http://www.familycircle.com/chocolatechipcookies or try this healthier version using oats and whole wheat pastry flour as well as canola oil to replace some of the butter. You will NOT sacrifice taste. While you’re at it, bake some extra and help end Childhood Hunger. http://www.greatamericanbakesale.org inspires millions of bakers to donate the money from sold baked goods to help fight childhood hunger by contributing to SHARE OUR STRENGTH’S NO KID HUNGRY campaign fund. 1. Heat oven to 375. Combine dry ingredients and set aside. 2. Beat butter, oil, sugars and vanilla in large until creamy. Add eggs and beat until blended. 3. Gradually add dry ingredients and nuts. Mix until combined. 4. Drop by spoonfuls onto ungreased cookie sheets. Bake for 9-11 minutes, or until edges are lightly browned. Remove from pans to cool. These cookies freeze well and can be jazzed up with sunflower seeds, dried cranberries or whatever other dried fruit you enjoy. Don’t be afraid to experiment. Celebrate the chocolate chip! Happy eating.